There will be a new heaven and a new earth in the millennium, the New Jerusalem will come as well as the old Jerusalem AND the inhabitants, or those who have previously died. They will have been ‘washed in the blood of the Lamb’, the Lamb is Jesus Christ which means they are part of the covenant through baptism in the name of Christ. Now how can people who have passed away before Jesus Christ was on the earth be washed in his blood through baptism? The job of angels is to both call men unto repentance AND to fulfill and do the work of the covenants. This is how God brings to pass his covenants. Angels came to restore the knowledge of the covenants and to deliver the authority to bestow them. A few of the angels we know of who actually participated in this restoration were: Moroni, Moses Elias (Noah/Gabriel), Elijah, John the Baptist, Peter, James and John and possibly many others. In 3 Nephi 21:27 Jesus Christ speak of a ‘way’ whereby his dispersed people may come unto him. These two verses speak of a way that they may come and a way that they may be gathered. God will make his ‘mountains’ a way, and ‘mountains’ are often used synonymously with temples. The temples will have something to do with prisoners and those in darkness (the dead) finding a way back to God. This is incredible language being used here, especially in light of all of the information presented thus far. 2 And he shall plant in the hearts of the children the promises (or covenants) made to the fathers, and the hearts of the children shall turn to their fathers. The priesthood will be revealed to allow the covenants to be fulfilled, this is a very important part of understanding the big picture. In Doctrine and Covenants section 128 we learn more about what this offering actually is. 24 Behold, the great day of the Lord is at hand; and who can abide the day of his coming, and who can stand when he appeareth? For he is like a refiner’s fire, and like fuller’s soap; and he shall sit as a refiner and purifier of silver, and he shall purify the sons of Levi, and purge them as gold and silver, that they may offer unto the Lord an offering in righteousness. Let us, therefore, as a church and a people, and as Latter-day Saints, offer unto the Lord an offering in righteousness; and let us present in his holy temple, when it is finished, a book containing the records of our dead, which shall be worthy of all acceptation. The offering that the sons of Levi would make is a book containing the records of the dead, the records contain the ordinances that were done in their behalf, the ordinances allowed those who have died to be washed in the blood of the Lamb and be partakers of the fulfilling of the covenant. This next article deals with the amazing circumstances regarding the coming forth of the Book of Mormon. The following information was written by Lenet Hadley Read of the Neal A. Maxwell Institute for Religious Scholarship. The article is presented in its entirety because every part of it is fantastic and a key factor to understanding the role that the Book of Mormon, the Gentiles and the Latter-day Temples and church play in the fulfilling of God’s covenant with Israel and all the families of the earth. 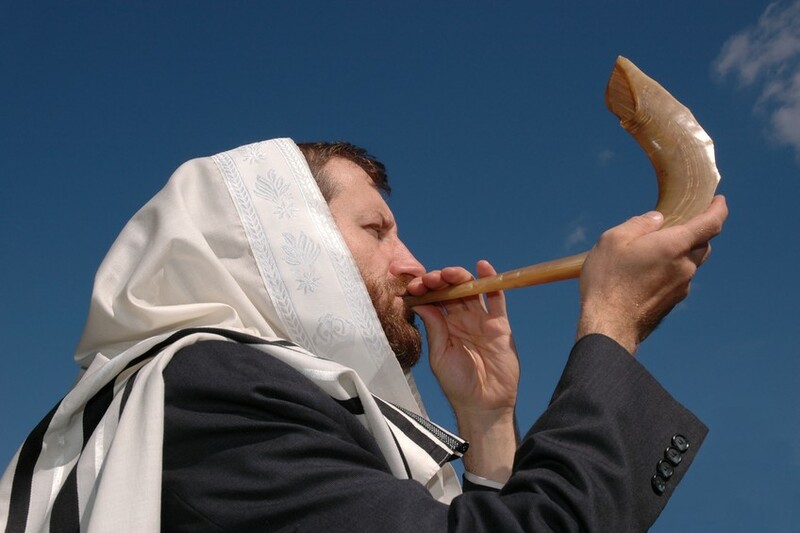 The Lord commanded Israel, “In the seventh month, in the first day of the month, shall ye have a sabbath, a memorial of blowing of trumpets” (Leviticus 23:24). By setting the festival in the seventh month of the Judaic calendar, (usually falling in our September), the day, like other Israelite holy days God commanded, was timed to coincide with an agricultural harvest (Exodus 34:22), in this case the harvest of fruits and grapes, the final harvest of the year.5 In fact, this festival was also anciently called the Feast of Ingathering [of the harvest].6 The Feast of Tabernacles, which follows a short time later, celebrates the completion of all of Israel’s harvests. It would be a great mistake to see the Feast of Trumpets as a festival without relationship to any other. Part of its significance is in its juxtaposition to the Lord’s other holy days, particularly as preparation for those days considered most holy of all days. Was the coming forth of the Book of Mormon on Rosh ha-Shanah coincidental? Truth is often manifest through fulfillment. The Angel Moroni was the messenger that brought forth the sign that marked the fulfilling of the covenant to the House of Israel on Rosh Hashanah as trumpets were being blown on the other side of the world. The covenant will be fulfilled through temple work and this is why Moroni is standing atop the temple holding a trumpet signaling that the work has commenced and the covenant is being fulfilled. The fulfilling of the covenant has only begun but in order for it to be completed the secret combinations must be destroyed from the earth, Christ must return and all of the records for every soul who has lived upon the earth must be brought forth and their temple work must be completed; at this point, the covenant will have be fully fulfilled. It would be an understatement to say that this is an ambitious task that we have had placed before us. The sign has been given, the work has begun, be we have not even come close to reaching all those who have gone before. We also have another problem; we don’t have records of every living soul that ever walked on this earth, so how is it possible that we can complete the task at hand? It’s important to note that the coming forth of the Book of Mormon only signals the commencement of the work. The lds.org website provides more information into how we will finish this work, first of all, Christ will return and his Millennial reign will begin, this period of time is known as the Millennium. A thousand years of peace, love, and joy will begin on the earth at the second coming of Jesus Christ. This thousand-year period is called the Millennium. It will be the final thousand years of the earth’s temporal existence. The scriptures and the prophets help us understand what it will be like to live on the earth during the Millennium. What will we all be doing for 1000 years? Will we be sitting around doing nothing? No, we have more information on what we will be doing, the Lord’s work has not yet been completed, the covenant will not yet have been fulfilled. There will be two great works for members of the Church during the Millennium: temple work and missionary work. Temple work involves the ordinances that are necessary for exaltation. These include baptism, the laying on of hands for the gift of the Holy Ghost, and the temple ordinances—the endowment, temple marriage, and the sealing together of family units. Many people have died without receiving these ordinances. People on the earth must perform these ordinances for them. This work is now being done in the temples of the Lord. There is too much work to finish before the Millennium begins, so it will be completed during that time. Resurrected beings will help us correct the mistakes we have made in doing research concerning our dead ancestors. They will also help us find the information we need to complete our records. It is a great comfort to know that as far as the salvation of all mankind is concerned, that God has his bases covered. Some might ask why we have to do all this work, and couldn’t God just wave his hand and save us all at once? While it may seem like a lot of work to perform these ordinances, it is a reminder that God loves each of his children and that salvation is still offered the same way, one by one. When we look to the top of our temples and see Moroni at the top with trumpet in hand, a new story unfolds. We see an angel at the top blowing a horn, possibly symbolic of the shofar horns that blew on the day he passed the plates to Joseph Smith as the sign that heralded the commencement of the fulfilling of the covenant, the marvelous work and a wonder that would bridge the gap between physical mortality and the Spirit World. The descendants of the Gentiles who have scattered the remnant of the House of Joseph upon this continent have restored the gospel and taken it to the remnant, they have built temples whereby the carry the sons and daughters of Israel upon their shoulders. Through the sacred sealing and binding ordinances of that house, lineages are being restored, the desolate heritages are no longer desolate, and truly ALL the families of the earth are being blessed. This is the work that Isaiah, Nephi, Christ and all the holy prophets have seen and looked forward to. This is literally all being fulfilled right now at this moment and it will continue to go forth until the great Jehovah shall say “The work is done”. Wonder – 1. That emotion which is excited by novelty, or the presentation to the sight or mind, of something new, unusual, strange, great, extraordinary, or not well understood; something that arrests the attention by its novelty, grandeur or inexplicableness. I often hear comments from critics and some dissenters from the church over the temple ordinances. Some people have referred to them as ‘unusual’ and ‘strange’, but maybe a clue to this is in the definition of the word itself because the word wonder also means something “not well understood” and “inexplicable”. I believe that many of these people are at a disadvantage of understanding the deep symbolism associated with the ordinances of the temple. I’m sure our ritual of “eating and drinking the flesh and blood” of Jesus Christ (otherwise know as “the sacrament” or “communion”) each Sabbath may appear cannibalistic, barbaric and strange to those uninitiated with the Christian faith. The core of the work of Jesus Christ’s atonement was to do for man what he could not do for himself, and just as he always has, he calls prophets and gives them the authority to do his work here upon the earth. Just as we are saved through an act performed by one man over 2000 years ago, likewise, the ordinances we are commanded to perform reach back through time blessing those who have gone before. It is truly a marvelous work and a wonder, it is truly a work that could only have be conceived by God and it is this work that thwarts every conspiring device created by man. God will indeed fulfill all of his promises that he made to the fathers and the Book of Mormon and the temples of the Church of Jesus Christ of Latter-day Saints stand as bold symbol to the world that God lives and his promises are in the process of their grand fulfillment.